New York City consistently ranks as one of the most walkable cities in America, providing many opportunities and incentives for people who live there to get around on foot. But if your goal is to find an exercise route or a sightseeing route, you'll want to do a little more research. Learn ways to find a great walking route in the Big Apple. You can use these walking routes you can download or print from apps and online sources. 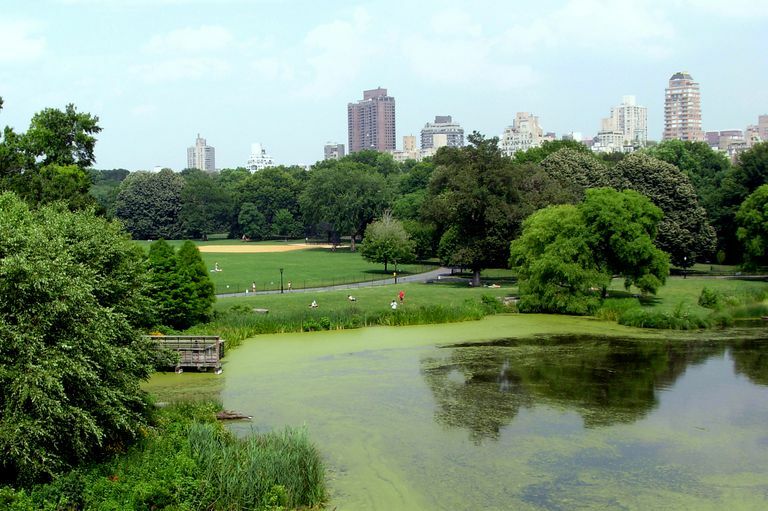 Central Park Self-Guided Walks: The Central Park Conservancy provides several self-guided walks and walking tours you can download, print, or bookmark to use on your mobile phone. They have a monthly mile walk for each month of the year, highlighting different park areas seasonally. GPSMyCity has several New York City walking tour routes online. These include maps, distances, and highlights. You can also install their free app to access them on your mobile phone. MapMyWalk is a great app and online resource to see what routes other walkers and runners use in the city. You can view routes of many different lengths. It's a good resource if you just want to stretch your legs rather than engage in sightseeing. The New York Times provides walking tour itineraries with highlights for Lower Manhattan, Greenwich Village, Midtown, Upper East Side and Upper West Side. These are simple text routes you can print or bookmark on your phone to use. The walkers of the American Volkssport Association often voted Manhattan walks into the top 10 walks in the U.S. from among the 1,400 walks their clubs host nationwide. They offer mapped walking routes ( year-round walks) that explore Midtown, Central Park, Greenwich Village, and Lower Manhattan. The Manhattan walks are hosted by the Princeton Area Walkers. They will provide you with a map and instructions for each of the walks. By sending an email to the club contact you will be able to register for the walks and receive the route instructions. You can get the instructions for free. If you walk for IVV Achievement Award credit, arrangements are made for payment and getting a stamped record book insert card. Check the New York year-round walk list on the AVA website for the latest information on the walk start place, hours, and route information. Midtown Manhattan Walk: The Midtown Manhattan walk is 11 kilometers (6.8 miles) long. It is rated easy, but it's likely to take three hours to complete due to all of the sights you will be seeing. Even if you bypass anything you should really stop and savor, it will take a minimum of two hours at a brisk walking pace (and everyone walks fast in NYC) due to the street crossings. The starting point is on West 42nd Street. The route includes Lincoln Center, Times Square, the Broadway Theater district, Rockefeller Center, Madison Square Garden, and the United Nations Headquarters. The walking directions may change from year to year but still, include the major highlights everybody wants to see on their first or 50th visit to Midtown. Central Park Walk: If you want to stretch your legs in NYC, walking in Central Park is ideal. This is a 10 kilometer (6.2 mile) route if you take the subway to the starting point. The route includes the walker/jogger path around the Jackie Kennedy Reservoir and it passes by Metropolitan Museum of Art and other museums. It starts from the 57th St. subway station. Greenwich Village Walk: This route changes for each half of the year. From January through June, you tour Greenwich Village, Chinatown, Little Italy, and Washington Square. From July through December it includes Chelsea and the High Line trail. It's a 10 kilometer (6.2 miles) walk. The walks start from the 23rd St. subway station at 7th Avenue. Lower Manhattan Walk: This walk includes the fitness walking routes on the Hudson River Esplanade with views of Ellis Island and the Statue of Liberty. See Wall Street, the Financial District, Ground Zero, and the new World Trade Center. You'll visit the shops and dining opportunities at South Street Seaport and walk across the Brooklyn Bridge. The walk starts at the Chambers Street subway station.